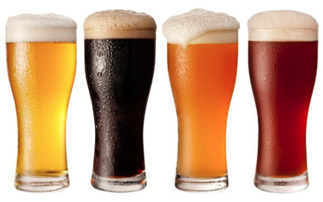 Join Idea Space in time for our fall craft beer tasting! On Thursday, October 16th from 4-6PM, Bauer Wine and Spirits will be hosting a beer tasting event at Idea Space for all Members to enjoy. We know how busy our Members are during the typical workweek. We hope this will be an opportunity for everyone to gear up for fall, enjoy a few drinks (on the house), and to catch up with some fellow coworkers. If you’re not a Member already, now might be the perfect time to join! The beer will be provided by Bauer Wine & Spirits, a Boston based store right here in the Back Bay! The tasting will include a variety of craft beers – and believe us when we say these guys know what they’re talking about. Beer, wine and snacks will be provided. Come hungry. Come thirsty!